2 in 1 Tablet design, can be switched among four versatile modes, including tablet, laptop, stand and tent modes. Equipped with a 12.3 inch 10-point PixelSense touch display, that supports for 2736 x 1824 pixels, brings your photos and videos to life. Besides, it is powered by the Intel Core i5-7200U dual core processor, coupled with 8GB RAM + 128GB SSD, offers you smooth operation and stable multitasking experience. Dolby Audio Premium technology supported, makes sounds come from different angles in movies, TV and live events to enhance your entertainment experience. Boasts impressive color and clarity, also provides wide viewing angles, brings you a vivid and colorful visual enjoyment. Want to be notified when the Microsoft Surface Pro 2 in 1 Tablet PC with Keyboard gets even cheaper? Make sure you snag the best price by entering your email below. We'll email you when the price drops, free! 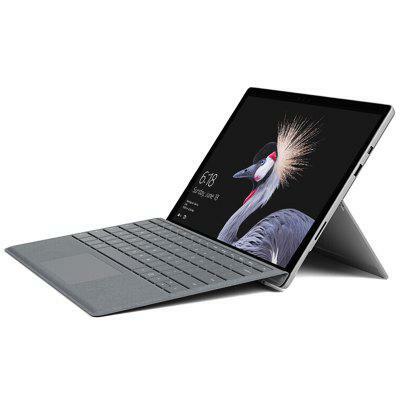 We're tracking the price of the Microsoft Surface Pro 2 in 1 Tablet PC with Keyboard every day so you know if that deal is really a steal! Check back for to check the best price for this product - and whether its current sale price is really the cheapest it's been! No Microsoft Surface Pro 2 in 1 Tablet PC with Keyboard coupons found!